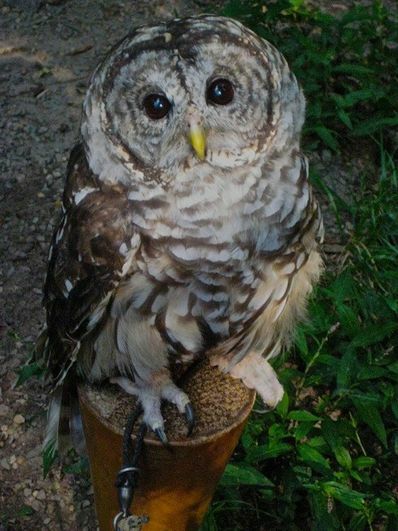 Starry is a young, female Barred Owl from the University of Georgia area. She is beautiful and very gentle. She has poor eyesight as a result of her car strike and can’t see well enough to hunt now.